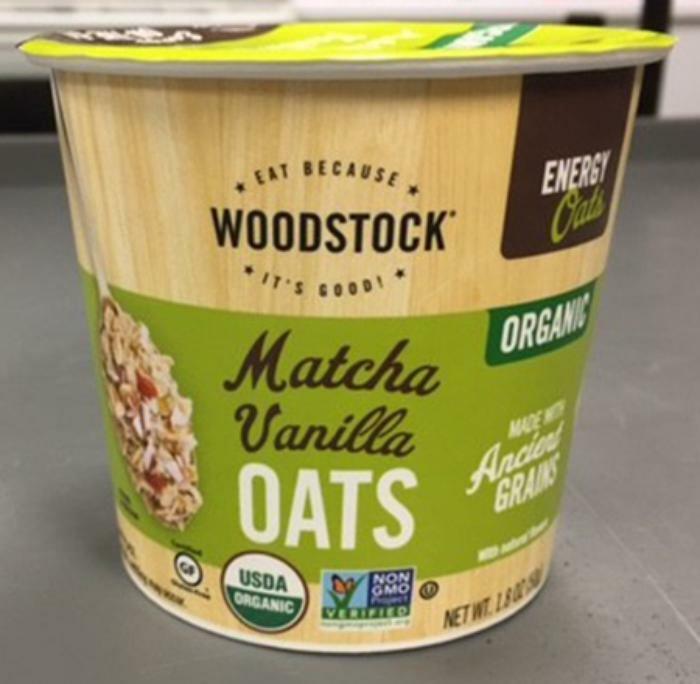 Garden of Light, doing business as Gluten Free Solutions of East Hartford, Conn., is recalling Woodstock Organic Matcha Vanilla Oats, which is manufactured by Garden of Light for Blue Marble Brands. The recalled product, which comes in a 1.8-oz. paperboard cup with a green laminated film lid, has the UPC Code 0-42563-01786-6 and is marked with the Best Buy Date Code of “SELL BY MAY 11 2018” on the bottom of cup. It was distributed in retail stores nationwide. Consumers with questions may contact Blue Marble Brands at (888) 534-0246, M – F between 9 am and 5 pm, or at www.woodstock-foods.com.